Your 4 legged friend deserves a vacation too! 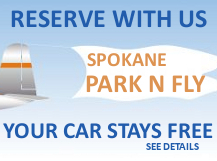 The largest selection of dog friendly places in Idaho and our service is 100% free. Dogs love McCall as much as humans do! In the summer, they enjoy great swims in Payette Lake. In the winter, your dog may enjoy snowshoeing or xc skiing (and so will you!). There is a designated "dog play" area by Brown's Park. offers amazing walks along their extensive bike paths as well as numerous day hikes in the area. In the winter head up to Galena Lodge north of Ketchum and enjoy dog friendly xc and snowshoe trails. from almost all lodging providers. It's quick & bookable online. Travelling around Idaho? We do complete itineraries with lodging and activities for free too! How about a trip to Boise where you can walk for miles along the Boise Greenbelt and enjoying a swim in the Boise River (don't forget your leash though!)? The Boise foothills offer numerous dog friendly trails too. Always make your lodging reservations in advance. Many hotels don't allow pets and others only allow them in certain rooms. Bring bottled water, food, bowl, pick up bags, any pet medications and leash. Make sure you have the pet's collar and I.D. tags. Keep car well ventilated at all times. Ask staff for ideas on where to go for good walks. Always respect other guests and staff. Coeur d'Alene was named the "Most Dog Friendly City" in the USA by Dog Fancy Magazine in 2011. You'll find dog friendly parks and even restaurants. Plus the gorgeous lake which is perfect for an afternoon swim. Driggs not only offers plenty of summer hiking opportunities for you and your dog in the nearby Teton Mountains, but also a wide variety of homes and condominiums that are pet-friendly. Tamarack where you won't believe the quality of rentals available. We make reservations for 320	pet friendly places in Idaho. In fact, InIdaho.com offers more pet-friendly lodging choices in Idaho than anyone else on the web. Our 100% free, local service, can help you find hotels, cabins, homes, and b&b rentals that allow dogs. We even have a few condominium complexes that allow pets. Give us a call or send us a request and we'll find the perfect place for you and your travelling pet. All properties require that notice of a pet be given at time of reservation. Many of the properties that allow pets will charge a fee or require a deposit. Many places may allow dogs, but may not allow cats or other animals.